The Glenesk Hotel in Angus has broken the world record for the largest number of whiskies for sale behind its bar. 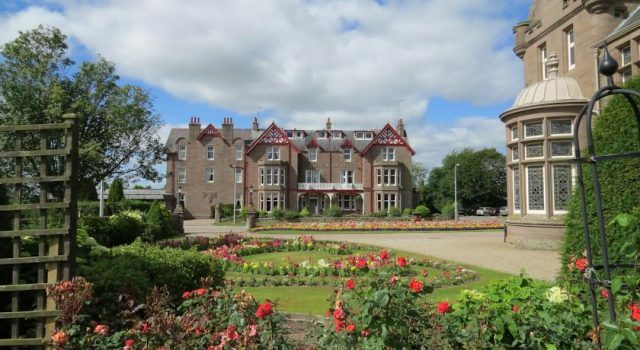 The hotel, located in the village of Edzell, has 1,031 different varieties of whisky commercially available. Owner of The Glenesk, Dylan Wren, is a passionate whisky collector and boasts an impressive collection himself, comprising roughly 1,500 bottles. As these whiskies are part of his own private collection and are not for sale, they cannot be added to the total submitted to Guinness World Records. The Edzell-based hotel serves whisky from every working distillery in Scotland. Its most expensive dram is the Lagavulin 25-year-old costing £248 a measure. Other notable whiskies on offer include Tomintoul 33-year-old and Port Ellen 33-year-old, as well as some rare bottlings from the Glencadam distillery, now the only working distillery in Angus. Established in 1825, the distillery closed in 2000 only to be reopened in 2003 following its sale to Angus Dundee Distillers. Wren purchased the hotel some five years ago having already accumulated around 200 bottles of whisky. Since then, the collection has spiraled and has surpassed the previous holder of the title Millionaire’s Casino in Ayrshire’s 800 bottle offering. Visitors to the hotel can browse the two large whisky tomes at the bar, containing a full list of all the whiskies together with tasting notes for each bottle. “A hotel really should be part of the community and we just wanted to scream and shout about whisky, so the world record happened a bit by accident”. Allen continued: “We have just had the world record confirmed in the last few days so we are really pleased. It’s a passion for Dylan, but is also very important to everyone here at the hotel. “The record is specific to the ones on sale in the bar, but with the display collection we have around 2,500 bottles. We couldn’t have achieved the record without the help of Robert Flemimg, the distillery director at Glencadam and Tomintoul who spent hours logging all of the collection to satisfy the requirements of the Guinness World Record criteria”. Although the record has only been confirmed in recent days, Guinness World Records told the drinks business that the accolade is dated to 28 September 2017 when the verification took place. A representative from Guinness World Records confirmed that: “The most varieties of whisky commercially available is 1,031 at Glenesk Hotel, in Edzell, UK, as verified on 28 September 2017”. Surely You haven’t seen the Dom Whisky in Jastrzębia Góra based in Poland. The whisky bar offers its guests choice from almost 2000 bottles for tasting (rare and old whiskies, limited editions, whiskies from closed distilleries as well as new editions on market) and held 1st polish whisky festival – Festiwal Whiksy Jastrzębia Góra, which now is held once a year at the last weekend of August (5th edition will take place on 24tha dn 25th August 2018 in Jastrzębia Góra.